Almeria Solidaria is a non profit organization based in Spain that was started in 1996 by Antonio Martinez Ruiz, and founded on the principal of providing education and development opportunities to impoverished communities throughout the world. This website is dedicated to the Peruvian branch of the organization and seeks to provide information regarding volunteer, touring, and donation opportunities for people looking to learn about Almeria Solidaria or to get involved in some capacity. 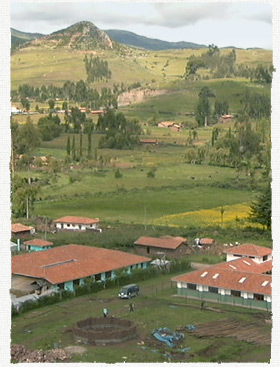 Located approximately 50 minutes outside of Cusco, the Peruvian branch of Almeria Solidaria functions mainly as a grade school and community center, however, it also offers agriculture classes teaching greenhouse farming practices, textile classes and provides basic dentistry and medical advice to participating members of the community. Antonio lives most of the year in Spain, so he partnered with a Peruvian social worker named Oscar Villa Lobos who was born in Lima and lives with his wife and three children in Cusco. Oscar runs all of the day to day operations of the project and works closely with the local community to ensure that they remain motivated and are seeing the benefits of their involvement. This is the English website for the non profit farm/school/community center Almeria Solidaria, located near Cusco, Peru. The purpose of this site is to provide information in English to potential volunteers, visitors, and donors who are interested in learning more about the project. Please feel free to contact the author with any questions that aren't answered here.